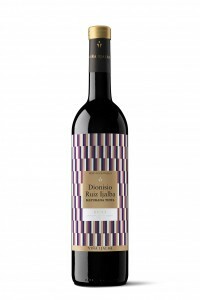 100% Maturana tinta, aboriginal, which had almost disappeared from Rioja. Malolactic fermentation and 8-10 months of aging in French oak in the cellar. PRetty red cherry colour. Intense aromas of red fruit and cassis; spicy (black pepper) and cocoa. The palate is smooth and persistent with a lovely concentration of ripe fruit. Suggeste pairing: red meats, soups, vegetable "veloute" and grilled tuna.